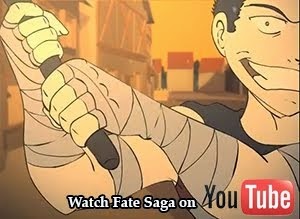 Fate Saga is a fantastical, action/drama animated series about fate and free will, and follows a knight who can see the future. What began in the 1990's as a story I would write in the back of my notebooks developed throughout college and into graduate school into my MFA Thesis. Fate Saga was pitched to Warner Brothers on March 12, and was well-received. But there are never any guarantees, and instead of sitting back and waiting to see if Warner Brothers is going to pick it up, we're moving forward and keeping the momentum going. Currently, the 5-minute pilot episode is in development but we need your help to make it everything it is meant to be! The pilot is a short, condensed version of what is to be expected in an episode in terms of characterization, plot elements, aesthetics, music and tone. All preproduction and roughly a minute and a half to two minutes of the animation is finished. Once the pilot episode is complete, it will be sent not only to Warner Brothers, but also to every festival and contest around the world that accepts television pilots, and will be available for free through the Fate Saga blog for everyone to view. The pilot episode - and, if possible, the series itself - will be produced entirely in America with no outsourcing. Fate Saga is designed to be viewed on the television or the web. Ultimately, the goal of this pitch is to generate enough sponsorship and merchandising that the series can eventually become self-funded. Fate Saga will be submitted onto Kickstarter on July 20. For anyone who is interested in donating to our cause, the rewards that will be offered on Kickstarter are listed below. The rewards are subject to change up until it is finalized on July 20. Pledge $5 or more: Our eternal love. Lots of it. Pledge $25 or more: Your choice of one signed Fate Saga character poster, along with our eternal love. Pledge $50 or more: A signed Fate Saga postcard, your choice of one signed Fate Saga character poster, our eternal love and a special thank you in the credits of the pilot. Pledge $100 or more: One signed Fate Saga print, a signed Fate Saga postcard, your choice of one signed Fate Saga character poster, our eternal love and a special thank you in the credits of the pilot. 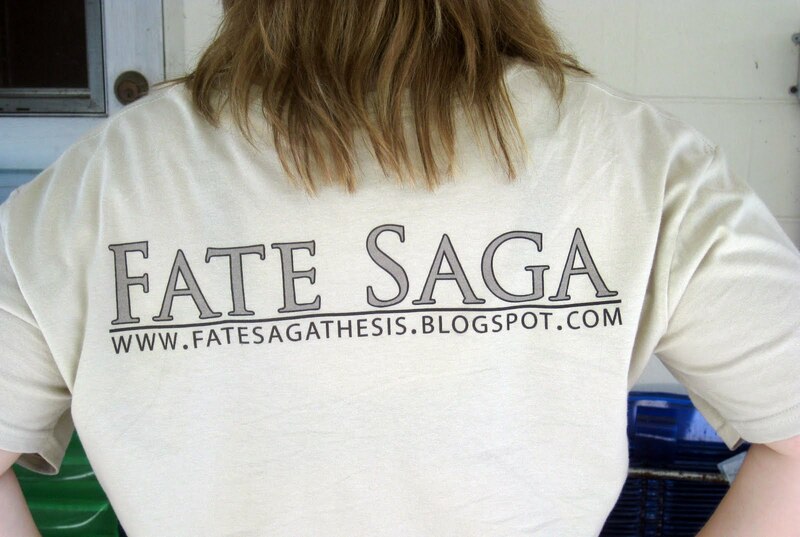 Pledge $250 or more: A Fate Saga t-shirt, one signed Fate Saga print, one signed poster of each Fate Saga character, one signed Fate Saga postcard, our eternal love and a special thank you in the credits of the pilot. 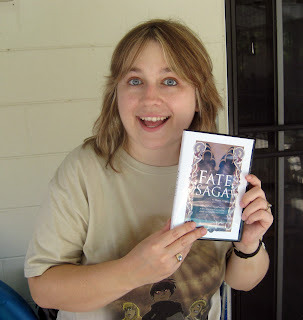 Pledge $500 or more: A signed special edition Fate Saga DVD containing the pilot episode, trailer to the pilot episode, documentary, bloopers and tutorials (once it is completed). A Fate Saga t-shirt, one signed Fate Saga print, one signed poster of each Fate Saga character, one signed Fate Saga postcard, our eternal love and a special thank you in the credits. 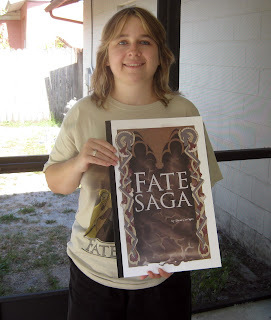 Pledge $1000 or more: A signed copy of Fate Saga's pilot production book. A signed special edition Fate Saga DVD containing the pilot episode, trailer to the pilot episode, documentary and bloopers (once it is completed). 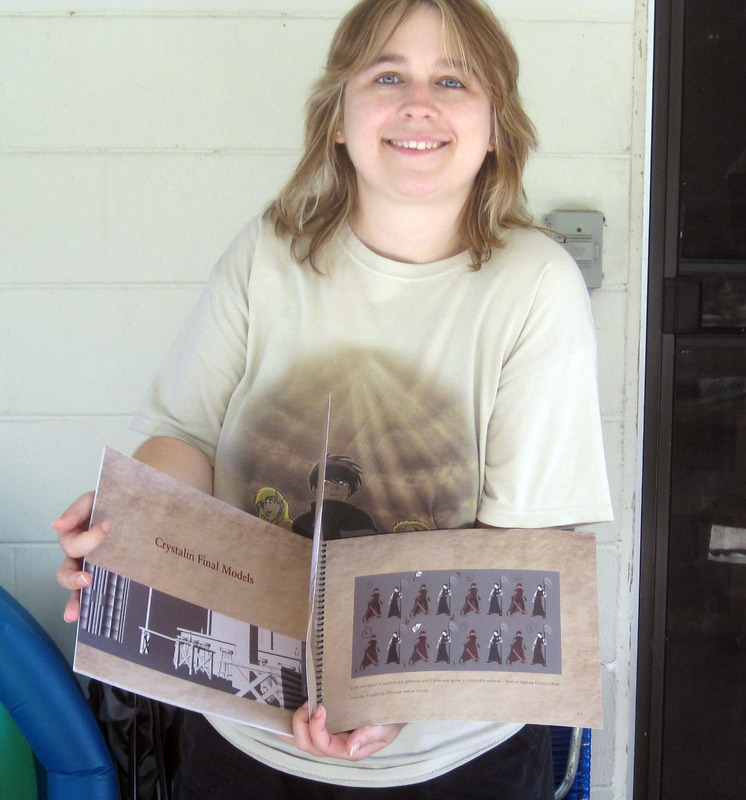 A Fate Saga t-shirt, one signed Fate Saga print, one signed poster of each Fate Saga character, one signed Fate Saga postcard, our eternal love and a special thank you in the credits. Pledge $2500 or more: A signed copy of Fate Saga's pitch book (the same book that was used to pitch to Warner Brothers). A signed copy of Fate Saga's pilot production book. A signed special edition Fate Saga DVD containing the pilot episode, trailer to the pilot episode, documentary, bloopers and tutorials (once it is completed). 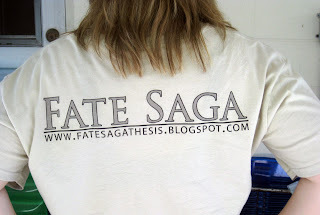 A Fate Saga t-shirt, one signed Fate Saga print, one signed poster of each Fate Saga character, one signed Fate Saga postcard, our eternal love and a special thank you in the credits. 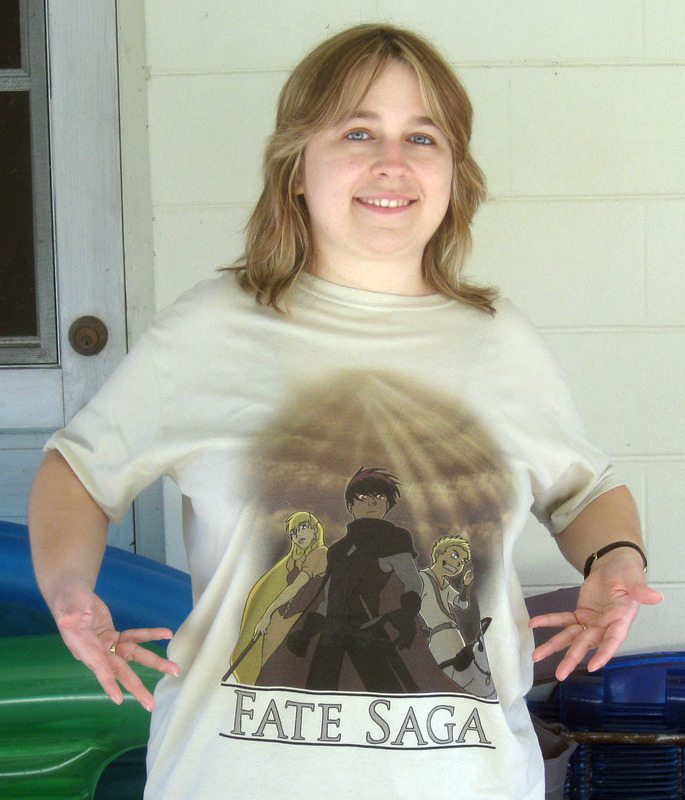 Pledge $5,000 or more: Producer credit for the Fate Saga animated series. Access to all of the tutorial and instructional documents that the Fate Saga crew used. A signed copy of Fate Saga's pitch book. A signed copy of Fate Saga's pilot production book. A signed special edition Fate Saga DVD containing the pilot episode, trailer to the pilot episode, documentary, bloopers and tutorials (once it is completed). A Fate Saga t-shirt, one signed Fate Saga print, one signed poster of each Fate Saga character, one signed Fate Saga postcard, our eternal love and a special thank you in the credits. 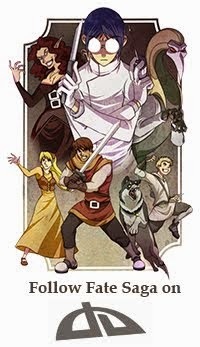 Pledge $10,000 or more: Executive Producer credit for the Fate Saga animated series. 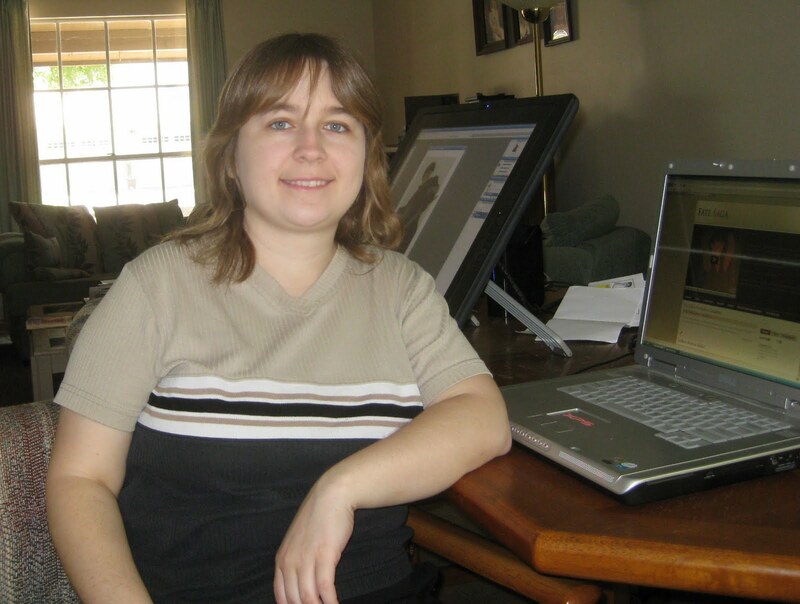 A special 2-hour Skype 2D animation production instructional seminar personalized to you. Access to all of the tutorial and instructional documents that the Fate Saga crew used. A signed copy of Fate Saga's pitch book. A signed copy of Fate Saga's pilot production book. A signed special edition Fate Saga DVD containing the pilot episode, trailer to the pilot episode, documentary, bloopers and tutorials (once it is completed). A Fate Saga t-shirt, one signed Fate Saga print, one signed poster of each Fate Saga character, one signed Fate Saga postcard, and our eternal love.